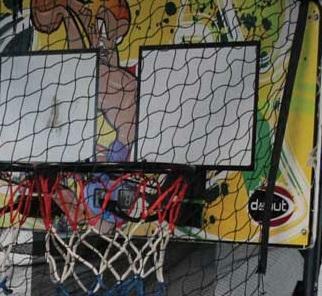 Double shot basketball is a twin player basketball arcade game complete with automatic digital scoring and sound effects. 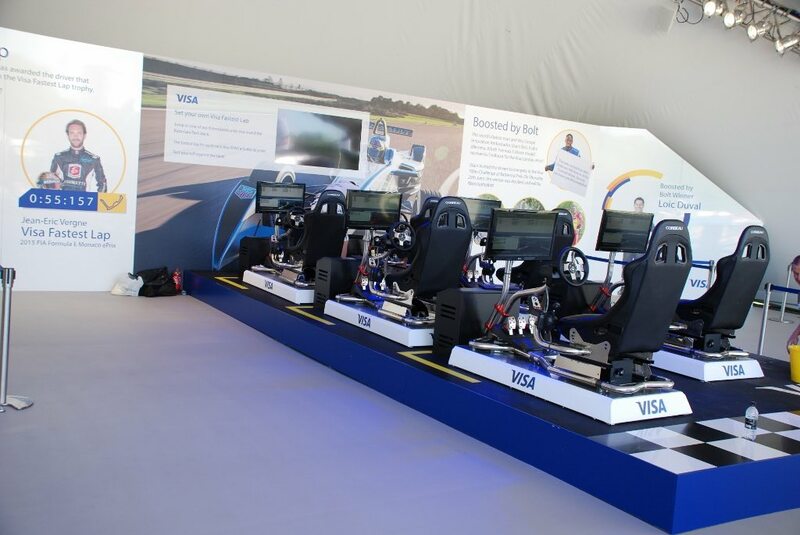 This is a great form of corporate entertainment and will get your guests interacting with each other. 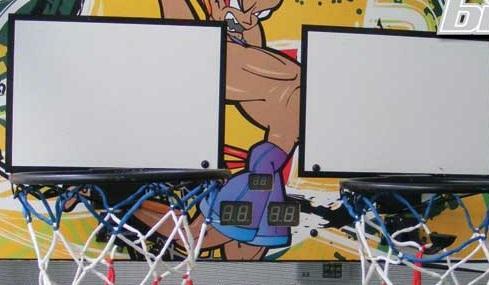 The aim of the Double Shot Basketball Arcade Game is simple, the 2 players try to score as many baskets as they can in 60 seconds. All baskets are digitally counted and the digital timer keeps track of the time. 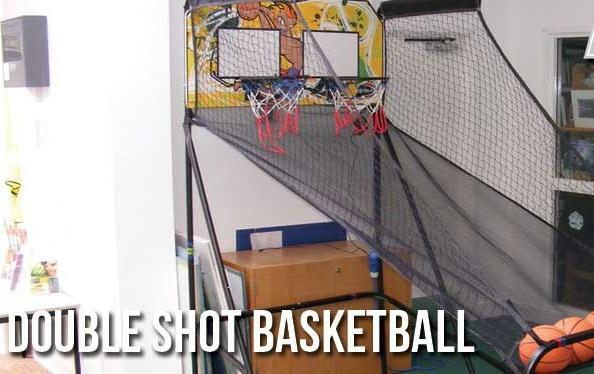 The Double Shot Basketball Arcade Game is usually hired out for 4 hours. Supplied complete with 3 mini basketballs. They stock 4 of these items allowing multiple units to be hired together. Indoor or marquee use only. 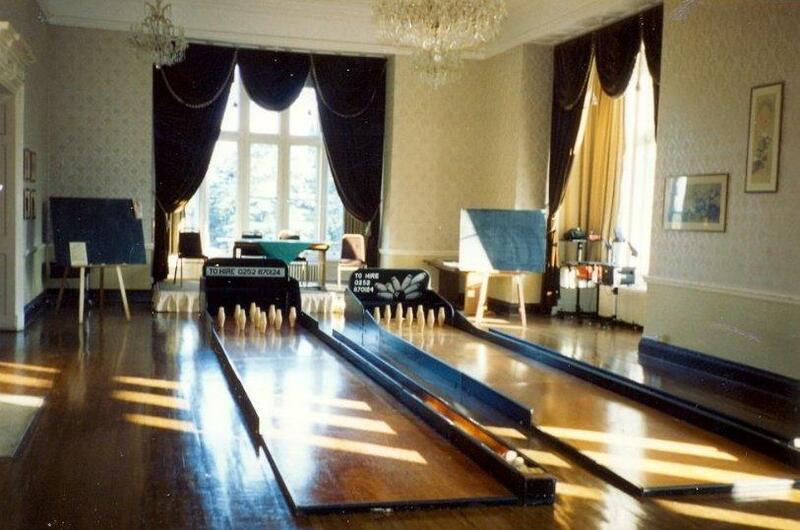 Suitable for use by both children aged 6+ and adults. Max number of users is 2. Requires 13amp 240V power supply. Equipment dimensions 3’w X 7’d X 8’h. Operational area required 4’w X 10’d X 8’h.